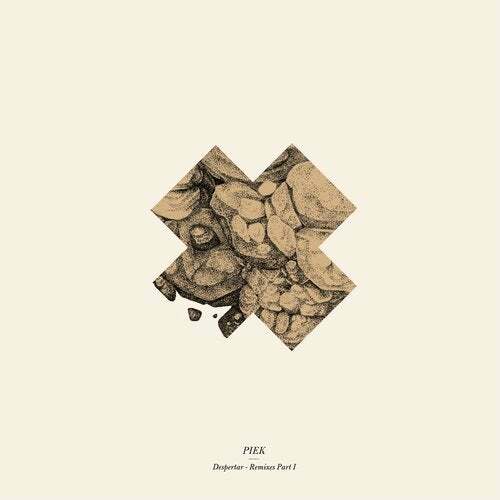 After the huge success of his "Despertar" LP release, Piek is straight back in the saddle to deliver another thrilling workout, this time its a family affair. First stop is for the genuine and always-inspired Spaniard Henry Saiz (Permanent Vacation, Kitsuné, Get Physical, Natura Sonoris) making the cut entitled Despertar. The Song that in the end lent its name to Piek's debut LP. As Henry often attests, his created formula is a musical language that can be difficult to describe, but simple to enjoy. Exciting new directions, which just scream good times. Armoured drums, a thick sub, dark voices and a hallucinogenic synth riff into a cold, stoney banger. Henry Saiz remix is followed by El_Txef_A and his rework for Avalanche. Prepare to dig into an outstanding piece of work that showcases his talents as a producer. El_Txef_A conjure is all about a brooding electronic landscape of techno. A dubwise, reductionists glory. And then some muscled beats to hit the dance-floor. Third Son (Noir Music, Einmusika, Sincopat, Stil Vor Talent) remixes for example Sou Les Etoiles. He has pieced together a club-ready brand new track full of utopian esque soundscapes and drum machine filled sequences. Intimidating underground-techno at its best. Closing this 1st circle, some fine trippy sounds and smooth drum patterns on I Saw You reworked by the hardware-junkies duo Reykjavik606. Floatation therapy!